Most of life’s unhappiness occurs when we forget who we really are. We aren’t our bodies, our clothes, our jobs, nor our circumstances. 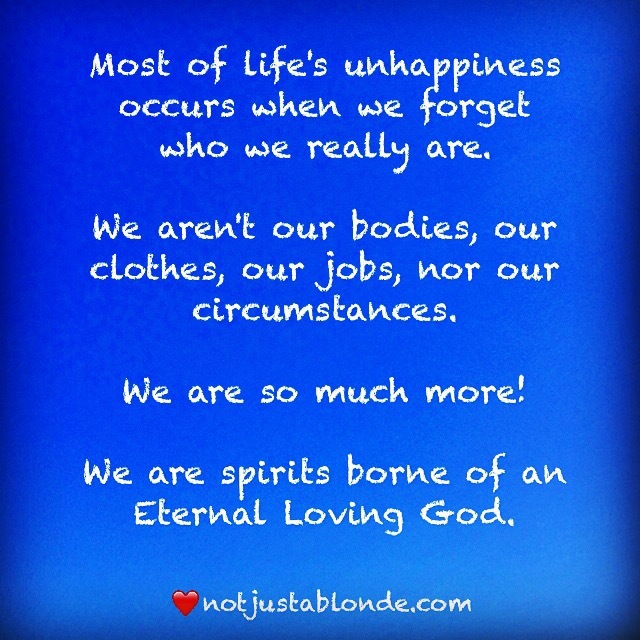 We are spirits… we are children of a Loving Eternal God! When we make choices that are not in-line with our true identity and purpose we will often find ourselves lost, alone and confused. Once we remember who we really are and live in harmony with God’s Love we will find our happiness and our peace.